Hello! 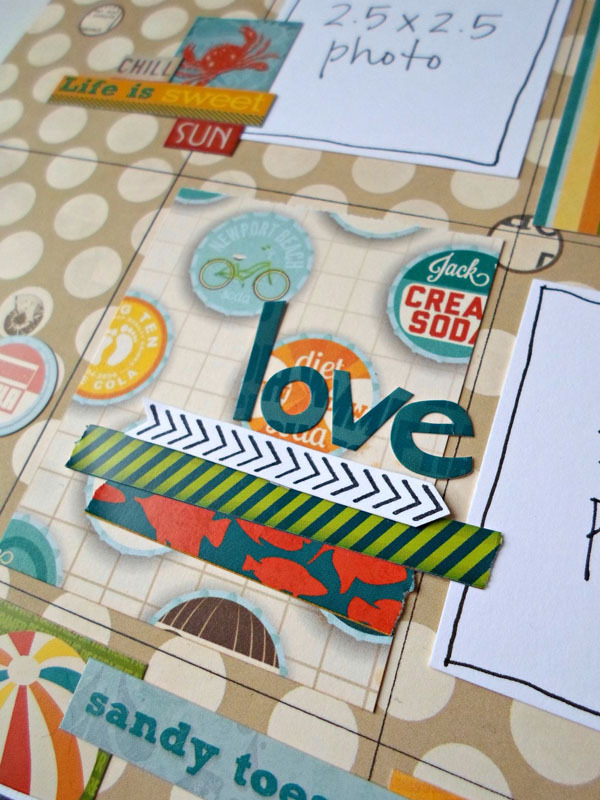 Today we're featuring a fun, monthly workshop called Page of the Month! This workshop will be held THIS Thursday, July 11th at 6:00 PM. 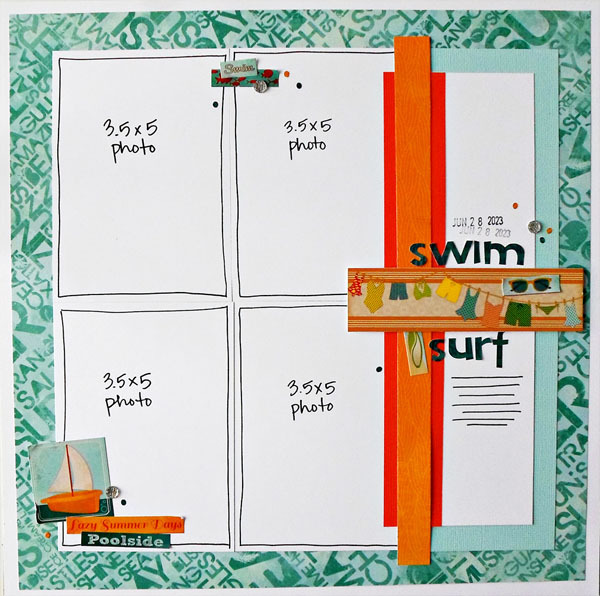 For the month of July, Nicole has created two layouts using BoBunny's Key Lime collection. You'll learn beginner and advanced techniques and go home with lots of goodies. 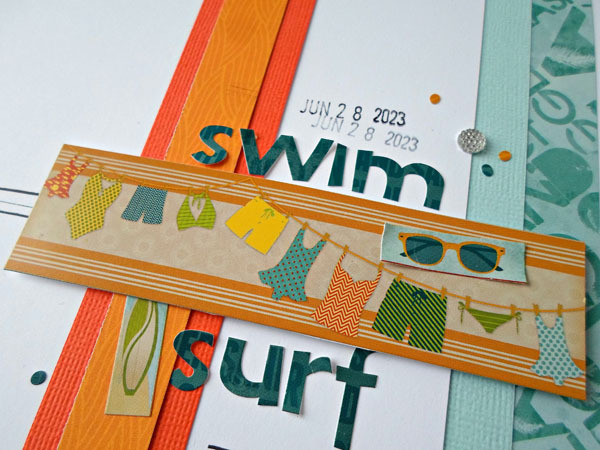 The layouts showed in this blog post were created with the sketches and products in July's class kit. 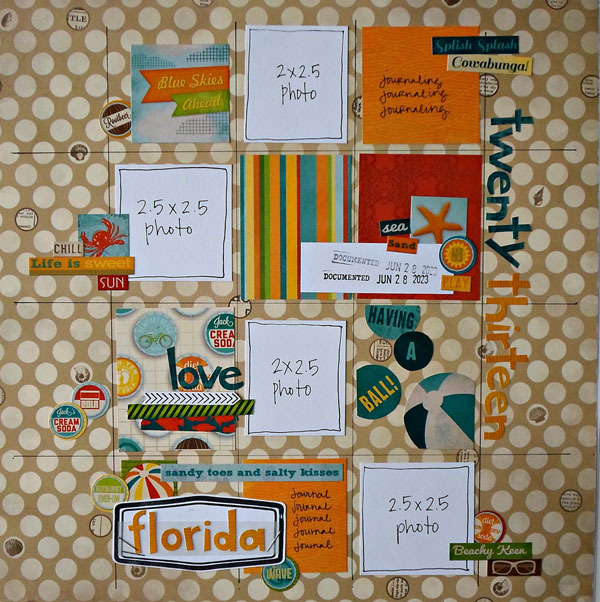 Nicole will work with you to create unique pages that work with the size, color, and theme of your own pictures. 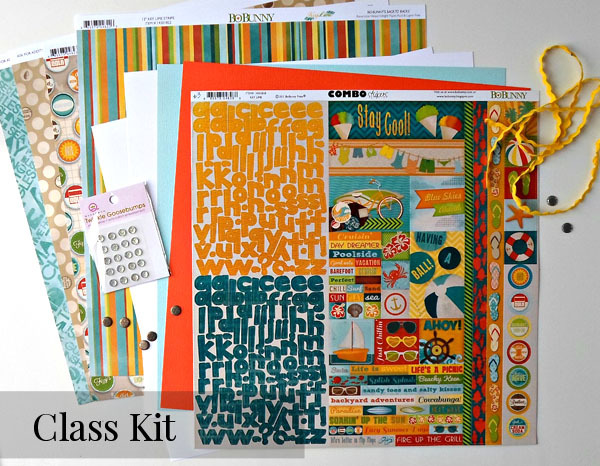 There's a fantastic class kit that's included in the cost of the class. Additional kits will be available after the class. 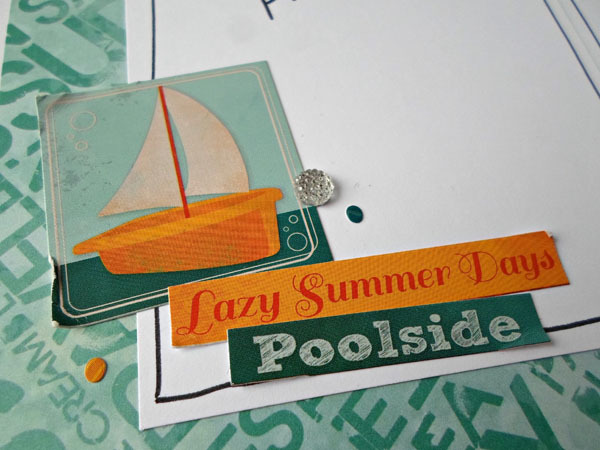 However, we highly encourage you to join in the fun of the workshop. 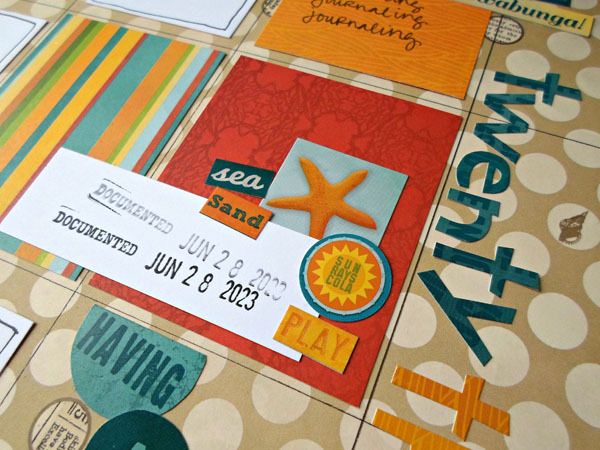 During your time, you'll learn valuable techniques and design tips, meet new people, and have access to additional tools and supplies, such as this stamp set and date stamp that coordinate perfectly with this month's projects. Although all project supplies are included in the cost of the class, please note this does not included your basic supplies required for all classes. 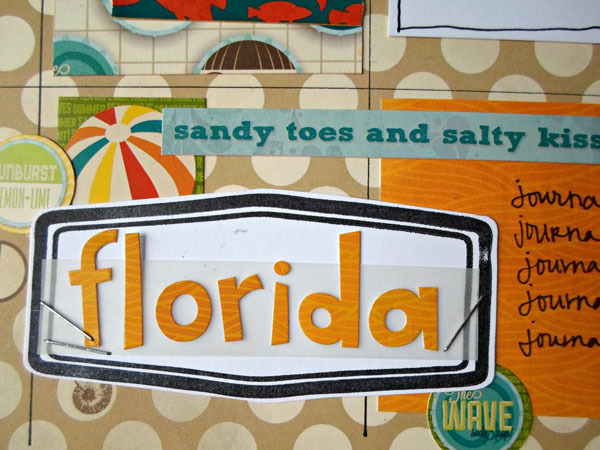 Basic supplies include: Paper Trimmer, Scissors, Wet & Dry Adhesives, Dimensional Adhesive, Black Journaling Pen, and Pen and Paper for Notes. 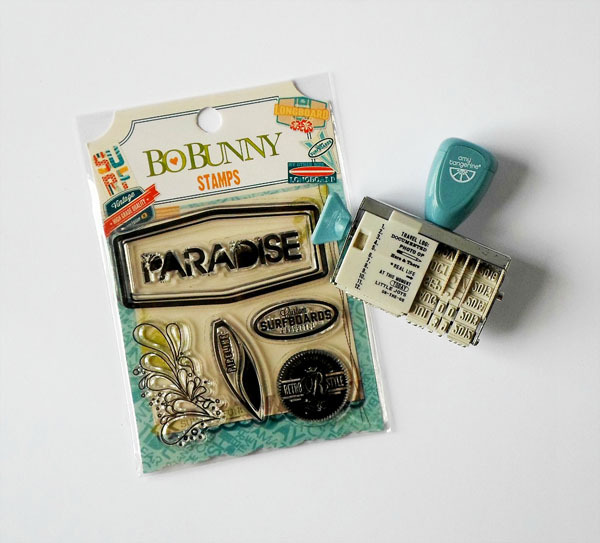 Monthly workshops will always include 2 layouts using new products from top manufacturers, such as American Crafts, BoBunny, We R Memory Keepers, BasicGrey, & more... Class Product Kit will always be included in the cost of class and valued between $12 and $15. Additional supplies and tools will be available for use at no additional cost during the workshop. Don't forget to reserve your spot before this Thursday, July 11th! You can call us at (920) 983-0033 or sign up online by clicking here.